Chief Executive Director of Internet retailer Amazon, Jeff Bezos, has outpaced Bill Gates to become the world's richest businessman. The former record-holder, Microsoft's founder, was declared the wealthiest businessman in the world in 1999 during the dot-com wave. At the time, Gates' fortune was worth $100 billion, or $149 billion in today's dollars, if adjusted for inflation. Bezos' estate is worth $150 billion, making him the richest man in modern history; Forbes first published its ranking of the world's richest people in 1982. Bloomberg notes that Gates's fortune could also exceed $150 billion if he spent less on charity. Since 1996, he has donated nearly 700 million shares of Microsoft and $2.9 billion in cash and other assets. Also, Bezos is among the top 5 most influential people on the planet. The rating was published by Forbes in May 2018. 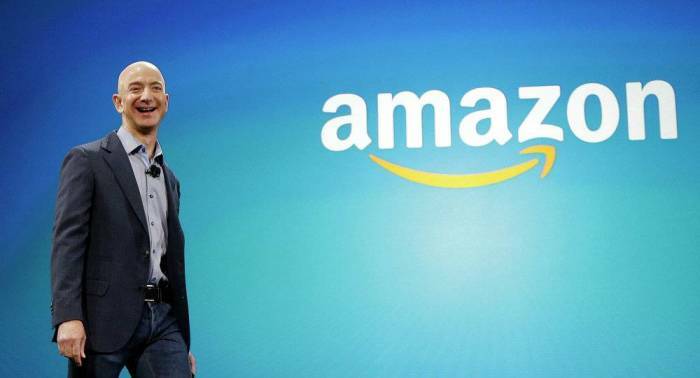 The founder of Amazon ranks fifth after Chinese President Xi Jinping, Russian President Vladimir Putin, US President Donald Trump and German Federal Chancellor Angela Merkel. The fact that Bezos heads the list of the world's billionaires is explained by the rapid growth of Amazon shares — since the beginning of the year, the company's capitalization has increased by 55%, to $880 billion.